This is “Organizational Structure and Change”, chapter 14 from the book An Introduction to Organizational Behavior (v. 1.0). For details on it (including licensing), click here. Identify the basic elements of structure. Explain the difference between mechanistic and organic structures and describe factors shaping an organization’s structure. Understand how structure affects ethics. Understand cross-cultural influences on structure and change. Toyota’s unique production system, its emphasis on continuous learning and improvement, and matrix structure are among the reasons for the company’s leadership in the automotive industry. In the first quarter of 2007, Toyota Motor Company overtook General Motors Corporation in sales for the first time as the top automotive manufacturer in the world. Thus, the largest automotive manufacturer of Japan became the top manufacturer of cars in the world. In terms of productivity, efficiency, and profitability, Toyota was already at the top. Analysts and observers are eager to explain Toyota’s success, and one frequently cited reason for this accomplishment is Toyota’s unique lean manufacturing system. What is lean manufacturing? Toyota Production System (TPS) is built on the principles of “just-in-time” production. In other words, raw materials and supplies are delivered to the assembly line exactly at the time they are to be used. This system has little room for slack resources, emphasizes the importance of efficiency on the part of employees, and minimizes wasted resources. TPS also gives power to the employees on the front lines. Assembly line workers are empowered to pull a cord and stop the manufacturing line when they see a problem. In a system based on just-in-time delivery, assembly line stoppages might have been viewed as costly, but Toyota employees would find it unthinkable to let a flaw pass through the system. Toyota enacts its production system with the help of its human resource strategies, culture, and structure. From the human resource perspective, they have employment stability, high investment in training and development, and internal promotions, all promoting a sense of employee ownership of the process. On the culture side, an emphasis on learning and modesty when it comes to evaluating past successes differentiates them from competitors, yet their structure is also a key reason for their ability to put TPS into action. TPS requires all employees to be an expert in what they do, which encourages specialization. Thus, Toyota is a functional organization. Each employee reports to a functional manager. At the same time, they understand the importance of a focus on the final product. As a result, a matrix organization is created where each employee also reports to a chief engineer who represents the interests of the customer. Meetings are conducted every two days to coordinate the relations between chief engineers and functional managers. Toyota’s structure also has other formal mechanisms facilitating communication among functions, such as module development teams, which are cross-functional teams that bring together product and production engineers. Through this structure, Toyota strikes a balance between being highly traditional and bureaucratic while at the same time agile and innovative. Toyota culture and structure facilitate constant learning and continuous improvement. Employees at all levels are expected to analyze the gap between actual and expected performance and understand the causes of all problems. Without such understanding, they believe, improvements are not likely. Their culture emphasizes rethinking of how things are done, and sayings such as “never be satisfied” and “there’s gotta be a better way” are part of their daily life. For example, if a car comes down the assembly line with a defect, fixing the defect is not the priority. Instead, the emphasis is on understanding the cause of the defect so it is not repeated. Management encourages experimentation and views failures as the key to learning. One way in which they learn from mistakes is to hold “reflection” meetings to recount what went wrong and how things can be improved in the future. In addition to facilitating learning at the individual and team levels, they take steps to make sure that what is learned is shared with the rest of the organization. This is achieved by putting implied knowledge into writing. Just-in-time production requires harmonious relations with suppliers, because suppliers are responsible for ensuring timely delivery of quality components. In fact, around 75% of each Toyota car is produced by suppliers. Toyota managed to create strategic alliances that eliminate some of the boundaries that exist between typical manufacturers and suppliers. Unlike GM or Ford Motor Company, Toyota does not go to the lowest bidding supplier, pit suppliers against each other, or threaten them. In fact, while GM and Ford are known as having poor relations with their suppliers, Toyota manages to build highly effective and long-term relations with the exact same suppliers, becoming their best customer and partner in the process despite cross-cultural differences. Toyota invests in its suppliers by sending engineers to observe and improve production processes and provides guest engineers to introduce suppliers to Toyota’s own production methods. Toyota even shares critical information with supply companies to help them be successful. 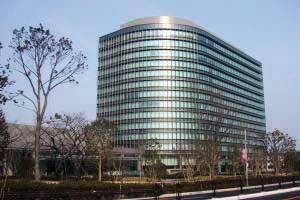 In fact, Toyota and its suppliers are called the “Toyota group” in Japan. The level of cooperation Toyota has with its suppliers blurs the lines between organizations and moves them one step closer to becoming a boundaryless organization. Sources: Based on information from Dyer, J. H., & Nobeoka, K. (2000). Creating and managing a high-performance knowledge-sharing network: The Toyota case. Strategic Management Journal, 21, 345–367; Liker, J. K., & Choi, T. Y. (2004, December). Building deep supplier relationships. Harvard Business Review, 82(12), 104–113; Liker, J. K., & Morgan, J. M. (2006). The Toyota way in services: The case of lean product development. Academy of Management Perspectives, 20(2), 5–20; Spear, S. J. (2004, May). Learning to lead at Toyota. Harvard Business Review, 82(5), 78–86; Takeuchi, H., Osono, E., & Shimizu, N. (2008, June). The contradictions that drive Toyota’s success. Harvard Business Review, 86(6), 96–104. As much as individual and team level factors influence work attitudes and behaviors, the organization’s structure can be an even more powerful influence over employee actions. Organizational structureHow individual and teamwork within an organization is coordinated. refers to how the work of individuals and teams within an organization is coordinated. In order to achieve organizational goals and objectives, individual work needs to be coordinated and managed. Structure is a valuable tool in achieving coordination, as it specifies reporting relationships (who reports to whom), delineates formal communication channels, and describes how separate actions of individuals are linked together.